If you are looking for a reliable BMW repair shop, look no further than Turner Automotive. Our skilled technicians provide maintenance and repair with honesty and integrity to BMW owners in the Rainier, WA area, especially to our neighbors in the 98576 zip code. While BMW performance is legendary, they do run into occasional problems with their cooling and electrical systems as well as minor engine issues. In older models, the fuel injection system can also malfunction. Turner Automotive provides the BMW repair as well as regular maintenance to help address problems before you even notice them, saving both time and hassle. As a BMW owner, you've invested in a vehicle that provides excellent amenities and craftsmanship. You should take it to a shop that can provide reliable BMW service and repair so that it will continue to serve you in the years to come. Turner Automotive looks forward to being the shop that stands behind you and your vehicle. Our mechanics appreciate the unique needs of your BMW and are ready to provide your vehicle with affordable BMW service. 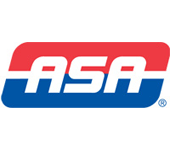 We're ready to answer any questions you have about your vehicle, and we'll make sure that your vehicle is equipped to provide you the ride you deserve - one that's both exhilarating and safe. Call Turner Automotive today at 360-446-1418 to schedule your visit or to learn more! We have trusted Turner automotive for years. They have always been honest,fair, reliable and fast. They care about their customers!! We would recommend them above all others!! Honesty is hard to find in this day and age!! We have alot of respect for them and we would feel safe sending any of our family or friends to them. Turner has worked on 3 of our cars for a number of years now and they are always reliable, thoughtful before long trips in checking my car out, and also reasonably priced. 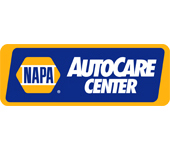 Their work is excellent, manners awesome and they give great tips and info to help me care for my vehicle. Choosing Turner is a great choice. You will never be sorry and your car will run well as a result! They seem like they are professional and have integrity. I've been here twice. So far so good. Wonderful family owned business! Great service! 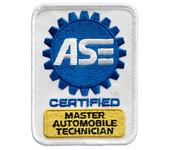 Turner Automotive is an Honest Vehicle Repair Shop with Certified Technicians! And if you think you need something fixed or done to repair your vehicle, and they find that it's not necessary, they honestly tell you either, you can wait, or even better yet, if there's nothing wrong, they send you on your way with no money spent! But if you do need help and a repair, they Are the place to take your car or truck! I have used Turner Automotive since 2001. They have worked on all my cars. They are all pretty old and they keep them running smoothly, always coming up with that hard-to-find part! Always friendly and helpful, too. Thank you Turner Automotive! The guys at Turner Automotive are FABULOUS!!! I have had nothing but problems getting my Volvo fixed until I called here. Steve Turner spoke to me with respect and kindness. I paid a third of the amount I was quoted elsewhere, had my car fixed in a few hours when I expected days, and unexpectedly found a trustworthy dependable local mechanic. Thanks Steve!! !